What are We Really Doing to Patients? Written by a leading proponent of the philosophy and ethics of healthcare, this volume is filled with thought-provoking and frequently controversial ideas and arguments. Accessibly written, it provides readers with a timely contribution to the current literature on medical ethics, in which the concept of subjectivity is a key issue characterizing current medical humanities. Examining the critical assumption that scientifically-demonstrable facts will remove all uncertainty, the author argues that ethical dimensions of clinical practice do not always arise from undisputed facts, but that they are sometimes to be found at the level of the determinations of the facts themselves. 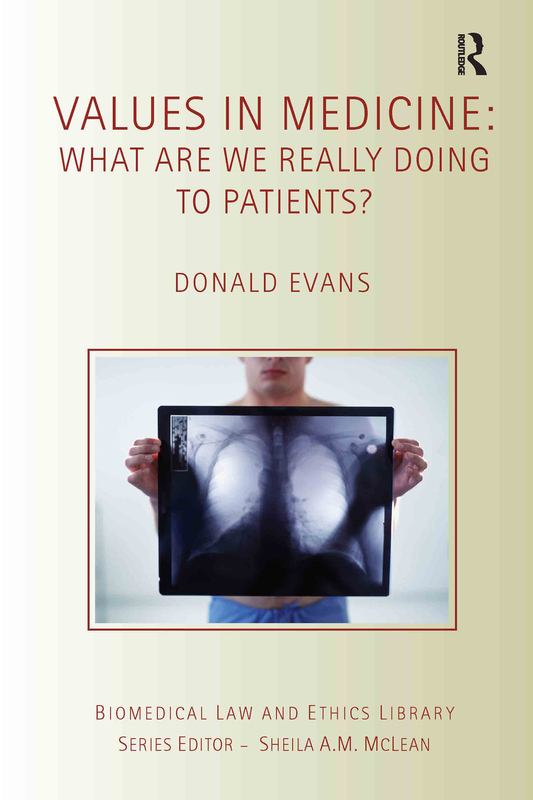 Firmly placing the patient back on centre stage, without underestimating the crucial role which science plays in modern medicine, this volume is an excellent account of ethics and science in healthcare and their proper place in assessing and meeting people’s health needs. Is infertility a health need?